Accident in a research lab, a strange demonic beings out of control. To deal with them Dr. Saotome creates a series of giant robots using force Guetta. 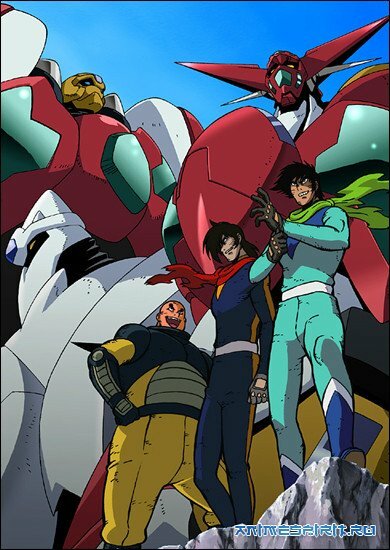 Pilots who are fighting for peace, are: military Ryoma Nagare, criminal authority Hayato Jin, and pripodobny Benkei Musashibou. Together, the team will fight Guetta! « Beelzebub: Hirotta Akachan wa Daimaou! ?